In March this year, Royal Dutch Shell admitted to more than 200 oil spills in the Niger Delta. By contrast, on average, there were only 10 spills a year across the whole of Europe through the last forty years. “These figures are seriously alarming. Despite all its promises, Shell has made no progress on tackling oil spills,” said Audrey Gaughran, Amnesty International’s Global Issues Director. “In any other country, this would be a national emergency. In Nigeria it appears to be standard operating procedure for the oil industry. The human cost is horrific – people living with pollution every day of their lives.“ she continued. Claims by oil giant Shell that it has cleaned up heavily polluted areas of the Niger Delta are blatantly false, Amnesty International and the Centre for Environment, Human Rights and Development (CEHRD) said in a new report published today. 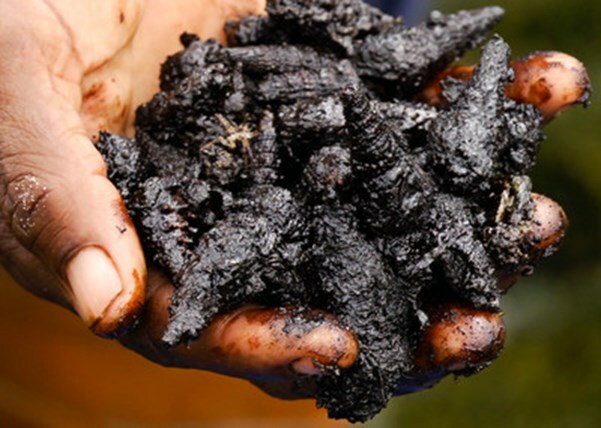 Clean it up: Shell’s false claims about oil spills in the Niger Delta documents ongoing contamination at four oil spill sites that Shell said it had cleaned up years ago. The report is being published to mark the 20th anniversary of the execution, on 10 November 1995, of the environmental activist and writer, Ken Saro-Wiwa, who campaigned tirelessly against the damage caused by the oil industry in the Niger Delta. According to Amnesty, four oil spill sites in Nigeria identified by the UN, which Shell has claimed to have had cleaned up by contractors since 2011, are still polluted. Unep inspectors said, “Nothing appears to have been done about the pollution,” and urged an immediate decontamination in more than 60 other heavily polluted sites in Niger delta, all of which, they said, had been left untouched or only cursorily cleaned up by Shell and other oil companies since the 1970s. Who backs who in Syria?